"Dr. Bereliani and his staff are simply the best! Thank you!" "He has given me great advice and care, and his staff is also excellent. Thank you!" 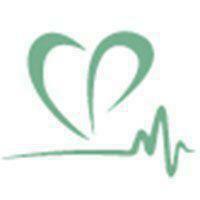 "Dr. B is a brilliant and accomplished cardiologist. I would highly recommend him." "Dr. Bereliani is one of the most knowledgeable and caring doctors that I have been to." "The best thing about my experience with Dr. Bereliani's office was my comfort level." "He is a very caring and honest doctor and I'm looking forward to all my future visits." "Dr. B has the latest and the greatest in technology and education for his patients. " Dr. B is a world-renowned expert leading the Preventative and Functional Cardiovascular Disease field. He is Board-Certified in Cardiovascular and Internal Medicine. Dr. B serves as a Clinical Associate Professor of Medicine and Cardiology at UCLA’s Geffen School of Medicine since 2003, on staff at Cedars-Sinai Medical Center’s renowned Center of Excellence and is the Medical Director at The Beverly Hills Institute of Cardiology and Preventive Medicine. His practice is uniquely positioned amongst an extremely small group of cardiologists worldwide, who possess in-depth knowledge of functional and orthomolecular medicine, to apply an integrative approach that seeks to use all scientific and proven methods available (not just medication) to treat heart disease. As a leader in the field of Preventive Cardiology, he specializes in incorporating the latest cutting-edge research, advanced genetic testing along with highly specialized and sophisticated biomarkers to predict an individual’s chance of developing significant cardiovascular disease within specified subsequent years. Dr. B then creates a personalized, comprehensive treatment approach for each individual patient. In treating patients, both those with and without cardiovascular disease, he combines the best of traditional and integrative medicine. Dr. B received his medical degree from Finch University of Health Sciences in Chicago, where he was ranked number one in his graduating class (of 192 students), receiving numerous awards and honors that includes being inducted into the Alpha Omega Alpha (AOA) medical honor society, a fraternity to which only the top 10% of medical students in the country are invited. He went on to complete his internal medicine and cardiology training at Ronald Reagan UCLA Medical Center. Dr. B strives to give back to his community through his fundraising efforts to further heart disease, cancer, and Alzheimer’s research. Equally important, he created a non-profit organization to help patients with no or low income get access to heart disease testing. In his free time, he enjoys spending time with his beautiful wife, daughter, and dog, and loves to raise his adrenaline by getting behind the wheel of his Porsche at the race track! Guide to America's Top Cardiologists: "America's Top Cadiologist"
Guide to America's Top Physicians: "America's Top Physician"